UPDATE 2:23PM MAY 31— Bail is denied for Pitts according to the Sun-Times' Sam Charles, who is in the courtroom. 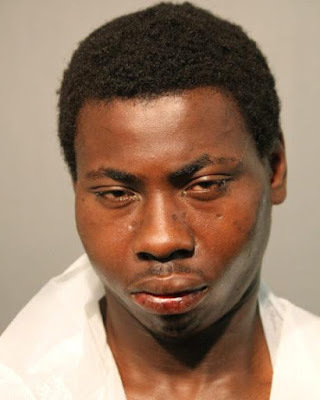 Kristopher Pitts, 22, of the 1100 block of North Central Park in Humboldt Park, is charged with first degree murder and armed robbery in connection with this morning's shooting death of 25-year-old Kevin O'Malley in the 900 block of Oakdale. Pitts' recent arrest record includes charges of aggravated assault and aggravated assault to a police officer. Authorities have listed a Palos Park address for O'Malley, but CWB sources have told us that he was actually living in the 1300 block of Fletcher in Lakeview. A police officer found O'Malley on the ground next to the L tracks at 942 Oakdale around 2:06 this morning and called for an ambulance, believing that he had come across one of Lakeview's many weekend "downers"—people who find themselves passed out on the street after a night in local bars. "This male down is a person shot. Looks like 2 gunshot wounds to the chest. Pick it up!" Seconds earlier, the gunman fled into a nearby alley and turned left into a long fenced-in yard. He was trapped. Unlike most Chicago yards, this one did not offer a passage way to the main street, Sheffield Avenue. Running back out of the yard would expose Pitts to the cop who was already on-scene. 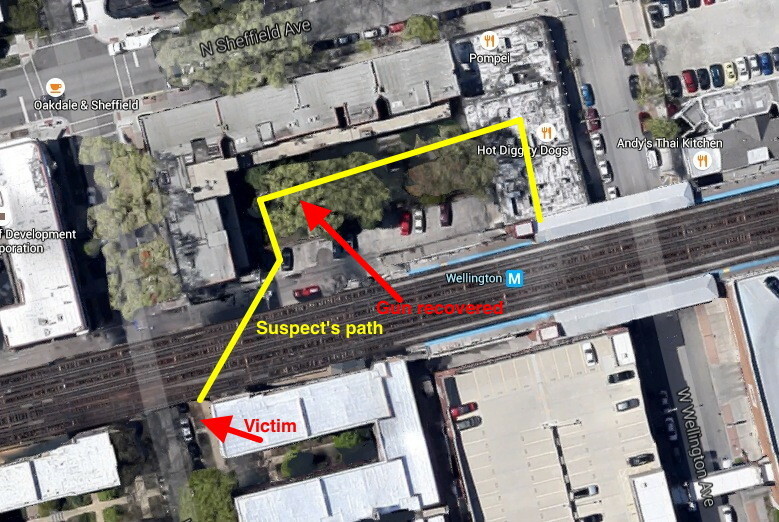 So, he dropped his gun in the yard at 2951 Sheffield, then ran as far north in the yards as he could go. There, he scaled a fence, climbed onto the roof of Pompei restaurant and then climbed up further onto the low-hanging southbound Wellington CTA platform. But he was stuck once again. The last Brown Line train of the night had pulled out of Wellington nearly an hour earlier. The front doors of the station were locked for the night. 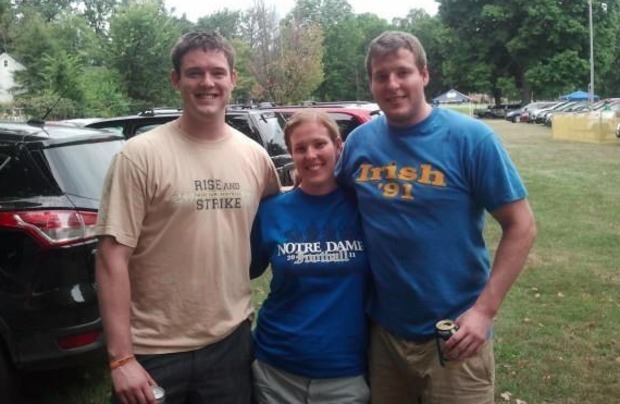 Kevin O'Malley, left, is seen in this image from DNAInfo Chicago. A 19th district officer searching the yards for a suspect found himself at the same dead end that Pitts had encountered moments earlier behind Pompei. The cop looked up and started climbing, following Pitts' trail and cornering him on the southbound Wellington platform. Congratulations to our 19th district officers for their outstanding work under dangerous conditions.